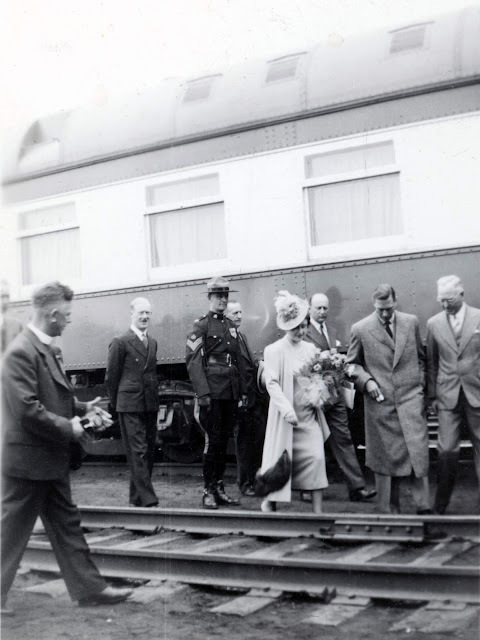 This photo was taken by one of my paternal grandparents back in June 1939, possibly in Moose Range, Saskatchewan. 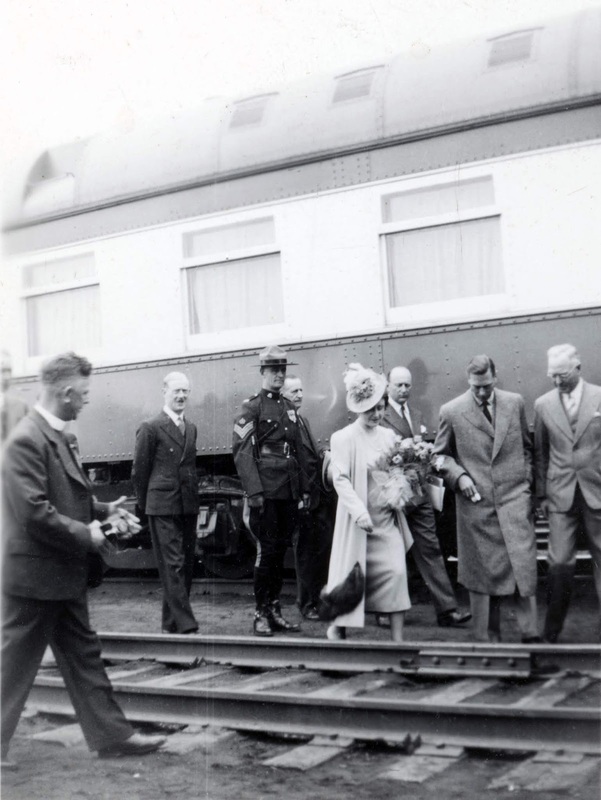 Stepping up to the rail we see King George and Queen Elizabeth I; this would have been shot during their 1939 tour of Canada. Grandma's writing on the back suggests that her brother-in-law, Lawrence Woods (yes, Woods; three brothers married three sisters), is in this photo somewhere; perhaps he's the fellow at the far left? Pretty amazing they could get this close to the reigning monarch. EDIT: Not Queen Elizabeth I, of course, but Queen Elizabeth the Queen Mother. Elizabeth I reigned from 1558-1603.